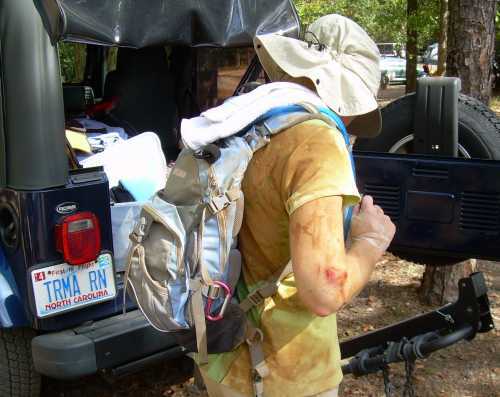 The Adventure Family Race Team fielded a new crew for the 2007 Gold Nugget Adventure Race, held October 6th in Morrow Mountain State Park and the Uwharrie National Forest. 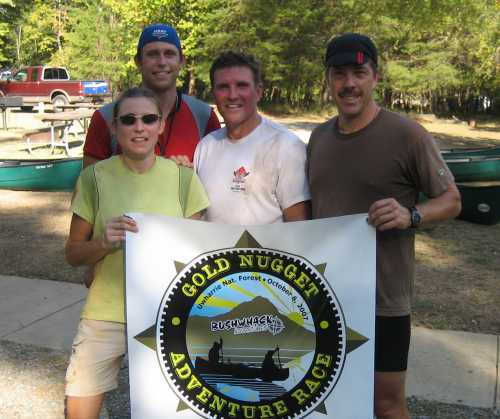 Volunteers turned racers as this coed team of four took on the Treble Hook four hour course. Ironman, Katy, Marion and Flex did well for their first adventure race, bringing home a second place finish in their category!! 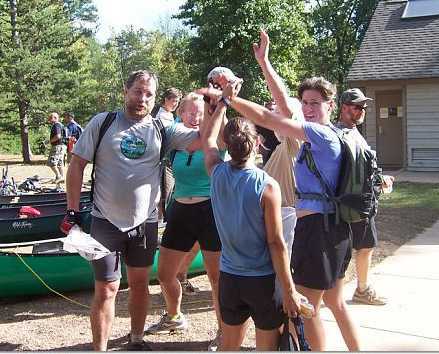 The race course included a canoe paddle on the Yadkin and Uwharrie rivers, with bikes in the canoes. A climb up a ropes course tower, mountain biking, and an orienteering section. We’re hoping to get more details from the team about their experience out on the course. Stay tuned! 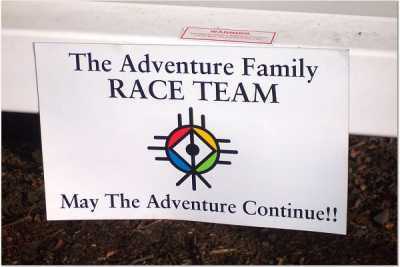 Other Family members who have raced under the Adventure Family colors also did well. Mighty Mouse (Marcilynn) raced with three guys on team 20-30-40-50 (aka “15 minutes late”) and brought home a first place coed finish in the Crazy Eight 8 hour race, despite breaking an arm, dislocating her shoulder and probably fracturing her clavicle, not to mention some scrapes and bruises. Infoman pulled Race Director duty for this race. 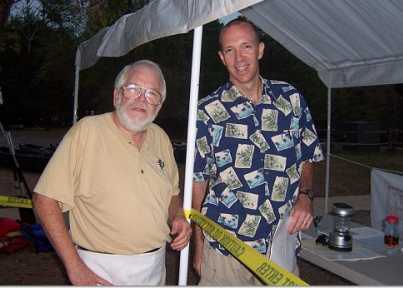 COP and Cap’n Morgan ran the Pirate Express buffet, feeding the volunteers and chasing Kevin and his buddy around. Infoman’s sister Debbie worked as an EMT. Several new friends were made and hopefully we’ll see them out on Adventures soon! Click here for a link to the race webpage and more pictures.